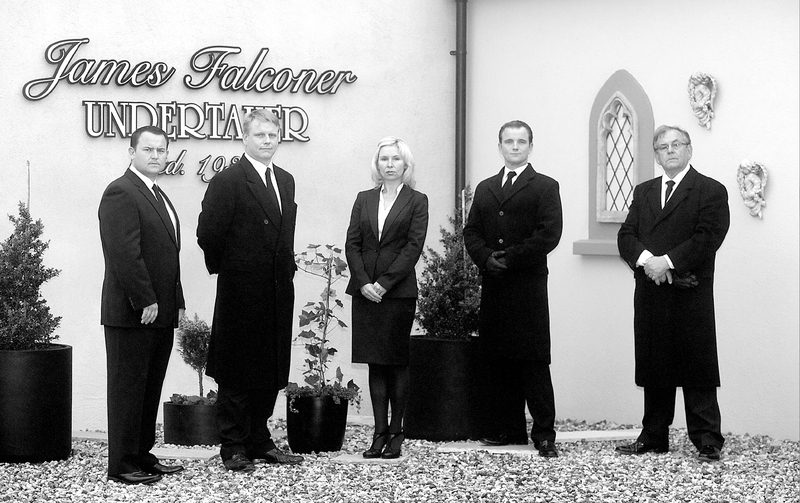 James Falconer Undertakers was founded In 1928. It is Ireland's oldest family owned, family operated limousine company. Its origins begin with James Falconer Senior (1910-1981) RIP. He purchased their first car, a 12 seater open Charabanc. By 1936 having firmly established his limousine service, James set up Falconers Funeral Directors. In 1981 after the death of his father James Junior took over the running of the business. Having served a lifelong apprentice, a third generation takes great pride in carrying out funeral Services. The staff are conscious that it is a great honour be entrusted with the final arrangements of a loved one. We approach our task with the upmost care and sincerity. Because we are a family business we can guarantee that at all times every funeral is personal.